John F. Kennedy was first elected to the US Senate in 1952, at age 35. Senator John F. Kennedy would not recognize the modern US Senate — with its frequent filibusters, fierce partisanship, and increasingly homogeneous political parties in which few conservative Democrats and or liberal Republicans can be found. The Senate of 2013 is far different than the Senate in which Kennedy served from 1953 to 1960. 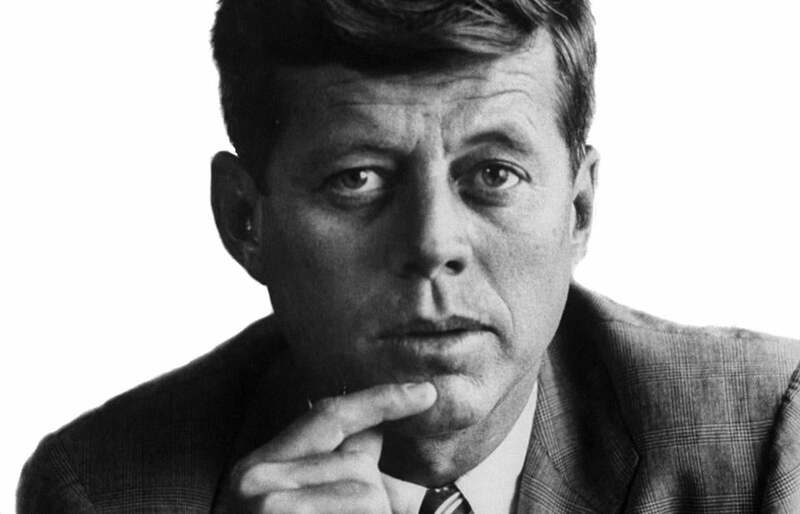 But Kennedy would surely recognize the political aspirations of a number of senators who appear to be considering a run for the presidency in 2016: Republicans Marco Rubio of Florida, Ted Cruz of Texas, and Rand Paul of Kentucky, and Democrats Amy Klobuchar of Minnesota, Kirsten Gillibrand of New York, and Elizabeth Warren of Massachusetts. Kennedy would spot the ambition in their eyes, their impatience with the desultory pace of the upper chamber, their evident delight in lavish press attention, and the ample self-confidence each one has about deserving to reside at the other end of Pennsylvania Avenue. Kennedy knew the Senate had never been an advantageous place from which to win the presidency. Before his 1960 election, only Warren Harding, in 1920, had gone directly from the Senate to the White House. And since JFK’s election, only one sitting senator has successfully retraced his steps: Barack Obama in 2008. Even a partial list of those senators who tried and failed to win the White House is long, often illustrious, and spans the centuries: from Daniel Webster, Henry Clay, and John Calhoun to Robert Taft, George McGovern, and Edward Kennedy, to recent bids by John McCain, John Kerry, Joe Biden, and Hillary Clinton. There are many theories about why it’s so difficult for a sitting senator to be elected president. Senators cast scores of votes that can be used against them on the campaign trail. They learn a professional language that, while usually understandable on Capitol Hill, is often impenetrable to the general public. The skills needed to be a good senator are different than those of a successful presidential candidate. But there is a JFK model of how to use the Senate to win the presidency that Obama adopted in 2008 and that current aspirants would do well to follow. Here are some lessons JFK could offer on how to travel directly from the Senate to the White House. ■ Don’t wait for gray hair. While extensive experience in government helps a president succeed in office, it does not seem to help candidates get elected. A peculiar, perhaps even perverse, aspect of American democracy is the endless yearning for something, or someone, new. Windows of opportunity in American politics often open slightly and briefly — and then close abruptly. The senator who decides to wait another four years before running for president can easily become an afterthought by the time the next election rolls around. During the 1960 campaign, JFK repeatedly brushed aside suggestions that he wait at least four years more years until running for president. He said he would likely get elected in 1960 or never. ■ Be single-minded in pursuing the presidency; ambivalent candidates never win. The graveyard of failed presidential campaigns is littered with the remains of senators who were conflicted as to whether their primary responsibilities should be in Washington or on the campaign trail. JFK never suffered from this dilemma. Once he decided to run, he ran hard and didn’t look back. During the 1960 campaign Kennedy faced more experienced and more highly regarded rivals — Senate Majority Leader Lyndon Johnson, Democratic Senators Hubert Humphrey and Stuart Symington, and former Democratic presidential nominee Adlai Stevenson. But while they equivocated and anguished about whether and how to run, JFK pursued the nomination relentlessly for four years. ■ Use the Senate as a credential. JFK understood that membership in the Senate has carried considerable cachet throughout American history. With creativity and tenacity a senator can gain national visibility and be seen as an important policy maker. The Senate is still a calling card for being taken seriously by the media and public. A seat on the Finance, Budget, or Appropriations committees gives a senator a reputation for economic expertise while membership on the Foreign Relations, Intelligence, or Armed Services committees confers foreign policy and national security gravitas. JFK pleaded with Senate Majority Leader Johnson for four years for an appointment to the Senate Foreign Relations Committee before finally getting it in 1957. He wanted the seat for both substantive, and status, reasons. ■ Use the Senate as a platform. Kennedy grasped that while the Senate provides visibility, you must have something interesting to say. He used the Senate as a venue to give wide-ranging speeches, and his foreign policy addresses were particularly impressive. They were well-written, historically literate, informative, and forward leaning. He also wrote op-eds, journal articles, a Pulitzer Prize-winning book, “Profiles in Courage,’’ and a presidential campaign book, “Strategy of Peace.’’ Kennedy also took full advantage of his membership on the high-profile McClellan Committee, which investigated corruption in the labor movement in the late 1950s. ■ Use the Senate as a proving ground. JFK knew that while a great speech can create buzz in the political world, it’s also important to actually get something done. Both opportunity and responsibility pushed him into the battle over labor reform, which was, in some ways, analogous to immigration reform now. The issue was controversial, consequential, and fraught with political risks. As the chairman of a key Senate labor subcommittee, it fell to Kennedy to write a reform bill. He took hits from all sides: labor, business, Southern Democrats, Republicans, and most of his political rivals. But he impressed his colleagues with his ability to write complex legislation, move it through the Senate, and then negotiate a compromise with the House. He then hurried on to other, less controversial matters. If there is one ironclad rule of American politics, it’s that Senate leaders never get elected president. Robert Taft, Lyndon Johnson, Howard Baker, Robert Dole, and others tried and failed. Just before the 1960 Democratic convention Lyndon Johnson belatedly jumped into the presidential race and blasted Kennedy, then the front-runner, for being a dilettante who wasn’t a serious senator. In a memorable debate before the Texas delegation, Johnson ridiculed JFK as an absentee senator and cited his failure to participate in civil rights debates and to cast a number of procedural votes. But Kennedy turned the criticism back on Johnson. “I want to commend him for a wonderful record answering those quorum calls,” Kennedy quipped, saying he strongly supported Johnson — to remain as the Senate majority leader. ■ Work hard, enjoy the moment, and pray for good luck. JFK, as a political pro, would warn today’s senators that the road to the White House is long, exhausting, perilous, and rarely runs through the Senate. But it can be done. Senator John F. Kennedy charted his path to the presidency in 1960, and modern aspirants would be wise to study his journey and reflect on his example because it remains relevant, even in today’s very different world.